Based on our proprietary ultra low latency technology, Teleinvest provides solutions for trading of any instrument type, for managing of the corresponding security master file and for portfolio evaluation. We help banks and other financial actors to stay above the crowd with high performance software products and above average service quality. 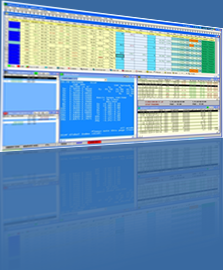 Are you looking for performance, reliability, experience in trading technology?